Mayor Kenney unveiled it to the world at City Hall on May 26, 2016. 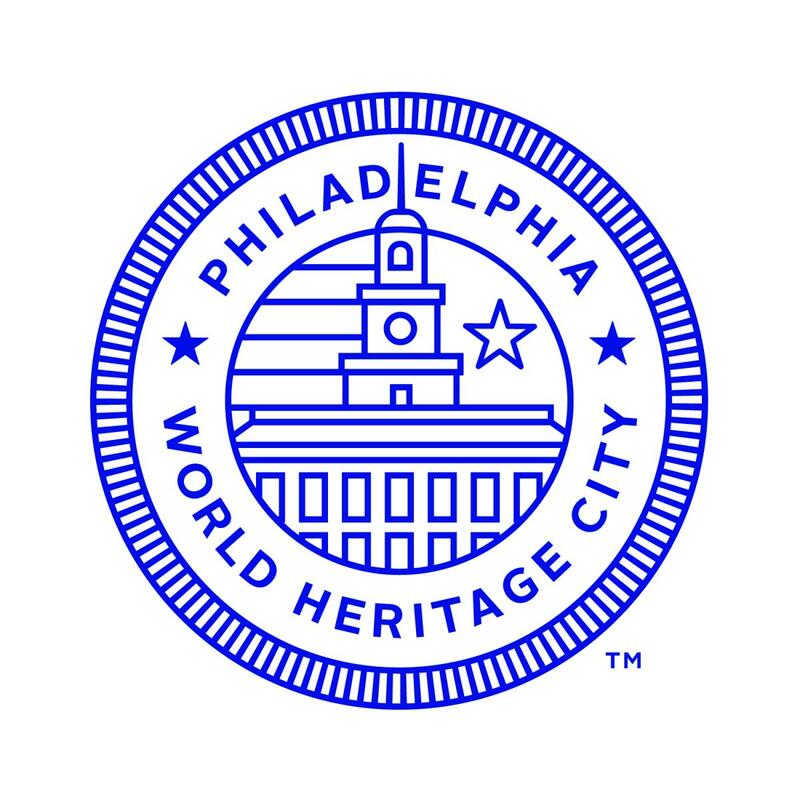 The World Heritage City logo is available to you for use in any and all of your non-mercantile materials. Please follow the usage guidelines. Downloaded them at the bottom of this page. Click Here to download the Seal in various colors. The knockout version can be used against a color background when preferred. The star at the right of the tower represents what we, as Philadelphians, aspire to for the next generations. The lines to the left of the tower, represent the "ideas" that propel us as a city, and the "place" that put us on the map. Independence Hall symbolizes the modern democracy and popular sovereignty we can all be proud of! How can the seal be used? It can readily be adapted for incorporation into your website, correspondence, brochures, annual reports, promotional materials, etc. The only exception is that use is not authorized in connection with merchandise. With the logo as a common thread, Philadelphia organizations, businesses, and individuals are now in a position to fortify the City's and their own profiles as being associated with the first World Heritage City in the United States. We hope that you will do so and that you will find many creative ways to involve the logo in your messaging. Let us know how it goes, and whether we can help in any way.